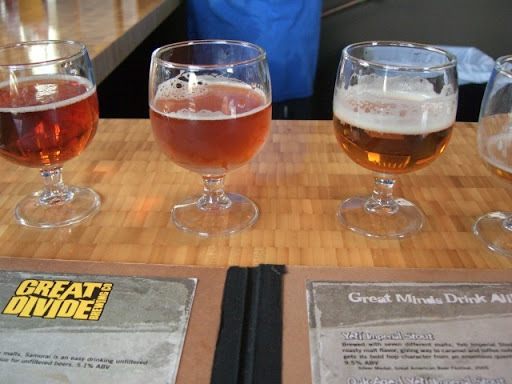 Upon arriving in Denver and checking into our hotel (Hotel Monaco, which we really liked), our first order of business was to hit a brewery or two. 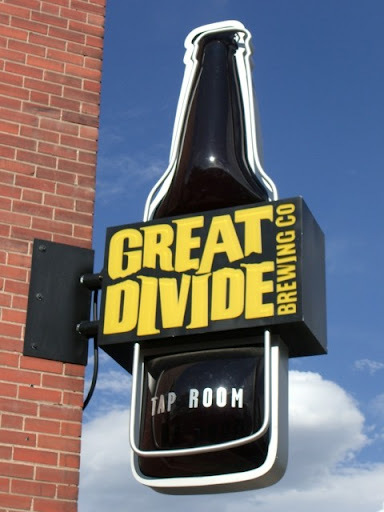 We had heard good things about Great Divide Brewing Co., so we headed there first. It turned out to be a great little place -- mostly brewery with a small tasting room on the side. 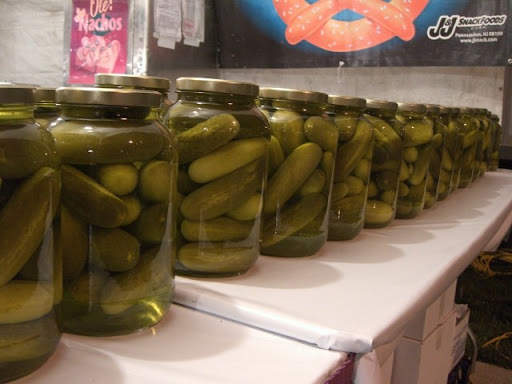 They offer four generously-sized tasters free per person. Between the two of us we sampled the majority of their beers. 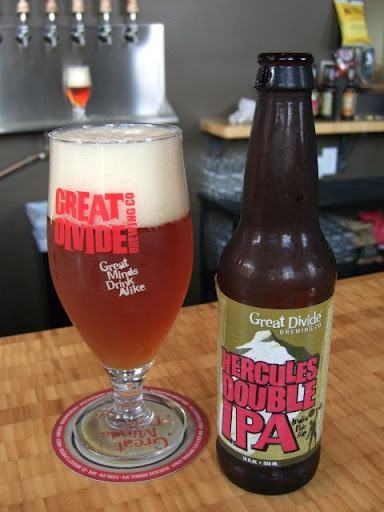 The hit of the visit for me was the Hercules Double IPA. Very tasty beer. Sherry also really liked the Hades, a Belgian-style strong ale. All in all, a great visit. Fantastic beers, nice atmosphere. If you are in Denver and are into beer, don't miss it. 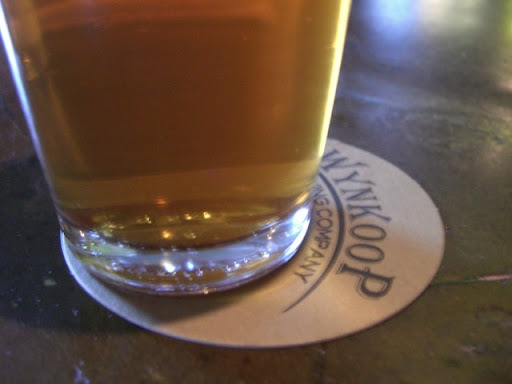 We then wandered over to Wynkoop. Atmosphere-wise, it was at the other end of the spectrum from Great Divide - more TGI Fridays than brewery. Against our better judgment, we sat down, though, and had a pretty good beer in the Monkeys Fist IPA. We had dinner reservations at Rioja, but were rapidly feeling the effects of the above mentioned brewery visits and decided that we weren't in the mood for a fancy sit-down dinner. 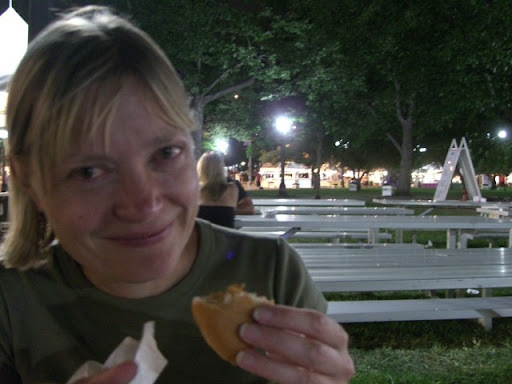 One of the people we met at Great Divide had informed us that A Taste of Colorado was going on. 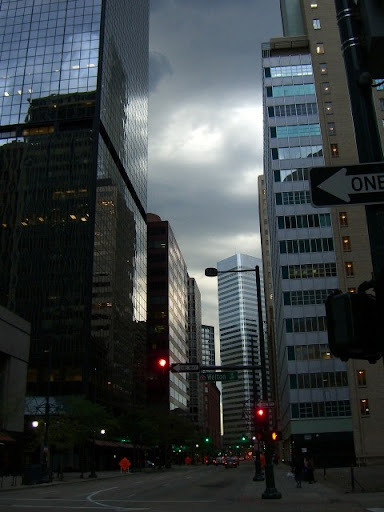 We canceled our dinner reservations and headed out through the stormy Denver streets. 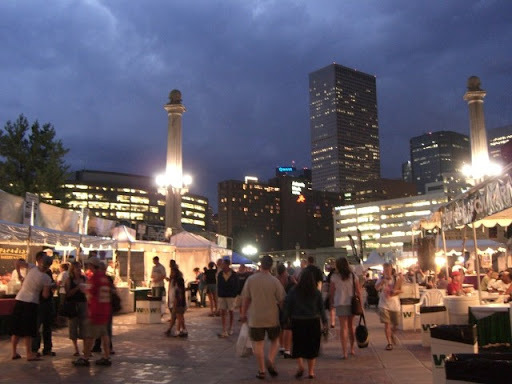 The event is held in Civic Center Park in the heart of downtown Denver. It was a great location, and a very nice balmy end-of-summer evening. The idea, as we were told, was that local Colorado restaurants were serving up tastes from their menus, and microbrews would be available in plenty. 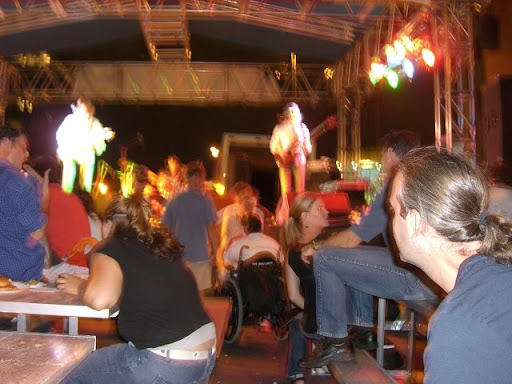 Then again, the person who tipped us off about the event hadn't been in years. Turns out, the reality was much less enticing. Maybe it used to be a food and beverage aficionado's paradise, but now it is pretty much just street fair food and macro swill. There were lots of beverage stands, but they were all run by Coors. Food options were not much better. Deep fried pickle anyone? The highlight of the event for us was stumbling upon a local band called Something Underground playing at one of the stages. They put on an extremely enjoyable set. 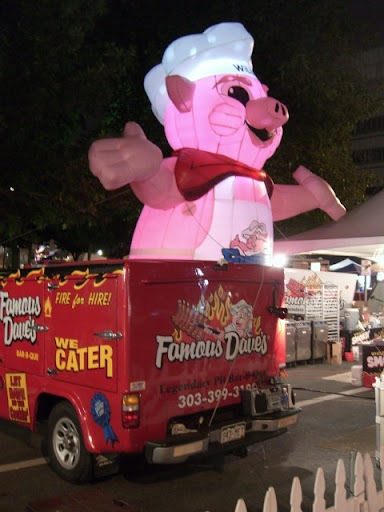 To finish off the evening, we had a pork sandwich from Famous Dave's as the festival was shutting down. I'm not sure if it was the sandwich or if we were just hungry, but it made for some good eating. 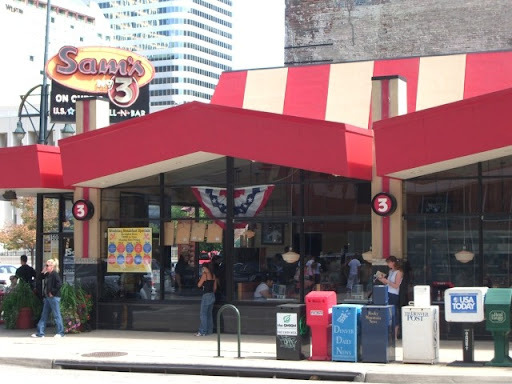 The next morning, the only item on our agenda in the city was a breakfast burrito at Sam's #3. I have fond memories of a breakfast burrito I had in Denver over 10 years ago. I'm pretty sure that one was at Pete's Kitchen, but helpful chowhounds assured me that Sam's was just as good, and it was just around the corner from our hotel. 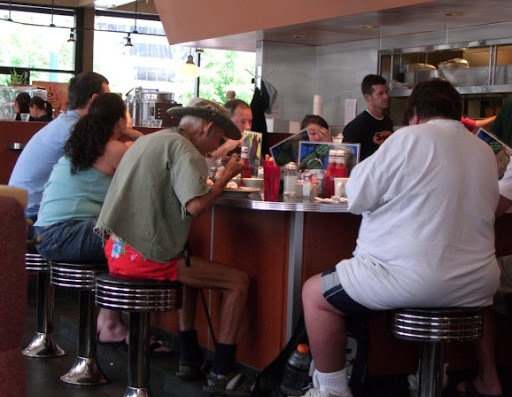 Sam's has a great old-school diner feel. Although the place was packed and there was a decent sized line of people waiting, things move fast and we didn't have to wait long. The burrito was all that I'd hoped it would be. 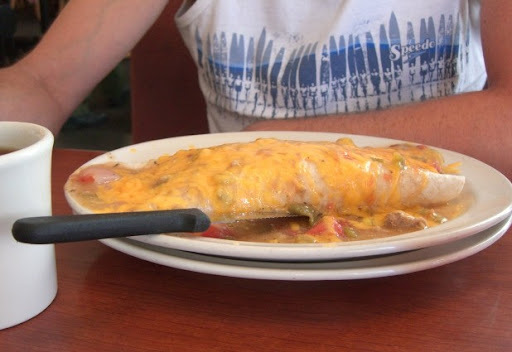 Very large (although not ridiculous), filled with eggs and home fries, and smothered with green chili and cheese. The chili was fantastic -- it had great flavor and lots of big chunks of pork. A great way to cap off a brief Denver visit!